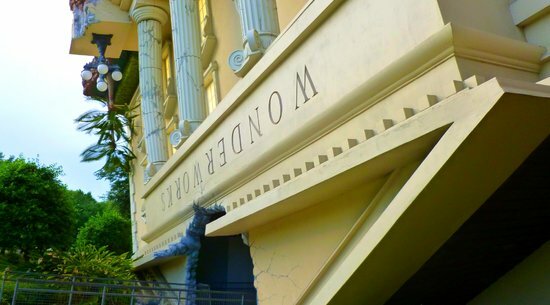 To the rest of the world, theme parks are the beginning and end to this great city. But there’s so many more things to do in Orlando than meets the eye. 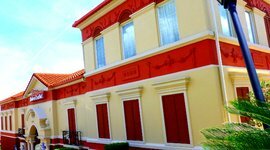 This vibrant, beautiful city is brimming with gorgeous parks, nearby historic towns, amazing natural springs that you can swim in, and its own energetic downtown on par with any major city in the US. As a young family, we do take advantage of living so close to the theme parks, but it’s the rich culture here that makes us proud of our city. In a place that feels so grand and magical, we continue to explore Orlando and find something new every time. 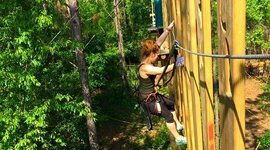 Here are some of the many activities in Orlando that we love to do. 1. 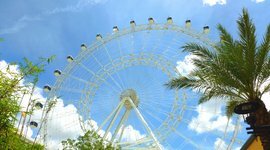 Explore I-Drive – If you want to take a break from the theme parks without traveling too far, cruise down I-Drive. 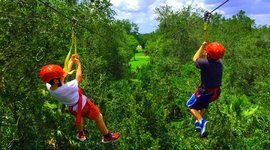 From outlets and malls, to restaurants and recreation, I-Drive offers an array of family activities. I’d highly recommend booking a dinner show. You won’t be disappointed. 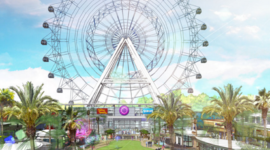 Other I-Drive things to do include Pirate’s Cove Adventure Golf , Ripley’s Believe It or Not , WonderWorks , and the brand new Orlando Eye . 2. 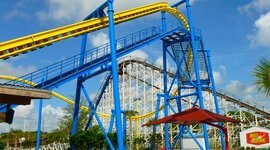 Do the Smaller Theme Parks: The major theme parks are superb, but there are several smaller parks that hold their own. 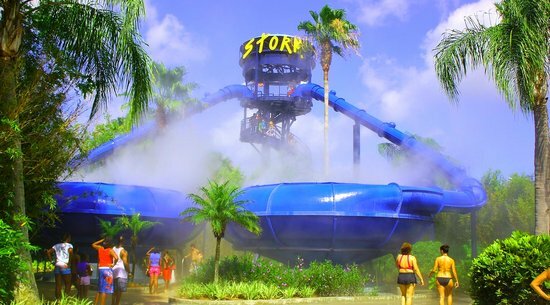 Ride the coasters at Fun Spot , feed a gator at Gatorland , get a blast from the past at Old Town USA , or head over to Wet N Wild for some water fun! They may not have the magic of Disney, but they’ll give you plenty of cost effective thrills. 3. 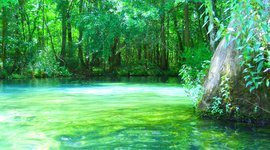 Cool Down in a Natural Spring – Though you wouldn’t want to swim in most of our lakes, Central Florida is home to many natural springs. Take a nature walk, and then bathe in the always cool fresh water (awesome on a hot day!). Two local favorites are the Old Spanish Sugar Mill at De Leon Springs, where you can make your own pancakes, or Crystal River where you can swim with the manatees. 4. Take a Day Trip to Jetty Park Beach – You can’t visit Florida without taking a trip to the beach. Ok, you can, but you’d be missing out. It’s a part of the charm. 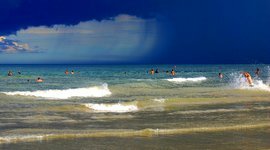 A smooth 60-minute drive will take you to Jetty Park Beach in Cape Canaveral, which offers more fun than just the glorious waves and salty ocean air. 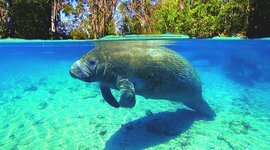 Here you’ll find manatees and dolphins, a playground and picnic areas. Even the simple things, like watching cruise ships come to port, are entertaining in their own right. 5. 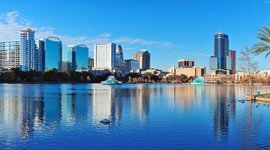 Head Downtown – It’s less than a 30-minute drive from the theme park area and a visit to Orlando’s Downtown is well worth it. Few tourists make it out here, but those that do are in for a treat. Our Downtown surrounds beautiful Lake Eola , where you’re free to picnic and play, rent swan-shaped paddle boats, or perhaps stumble upon one of the many free concerts or festivals held there throughout the year. 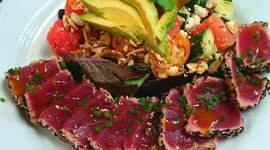 Grab a bite to eat on the lake at Relax Grill or 310 Lakeside , or venture onto the side streets and enjoy a burger at Graffiti Junktion , amazing salads at Dexter’s , or a fabulous brunch at SOCO . Two additional lakeside restaurants include Spice Modern Steakhouse and World of Beer. Adding to the area's dining prowess, the chef of the farm-to-table Rusty Spoon was just nominated for a James Beard Award. Walk through the Church Street District or Thorton Park to find dozens of other great restaurants, shops, and more. 6. 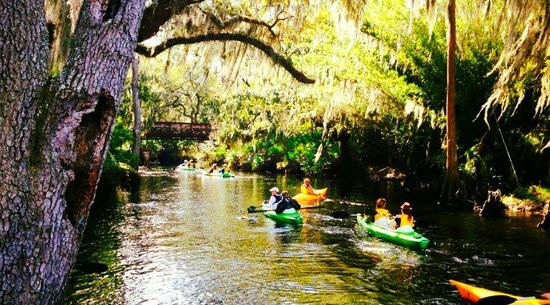 Eco Adventures – Explore the headwaters of Florida Everglades at Shingle Creek with Kayak & Eco Tours , take a scenic boat tour through Winter Park, or zipline and ride horses at Forever Florida. 1. Highball & Harvest – A few miles east of Sea World, Highball & Harvest sits inside the Ritz Carlton. Don’t let the location fool you; it’s not a fancy affair. This rustic Southern menu is touched with a modern approach. Using mostly locally grown food and produce from their very own garden, the menu selection reflects the season and makes for fresh, bold flavors. You must order the made-to-order baby donuts accompanied by cappuccino ice cream and homemade hazelnut spread. So delicious! 2. 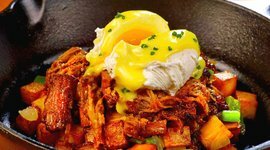 Cafe Tu Tu Tango – The place where entertainment and delicious foods shall meet! 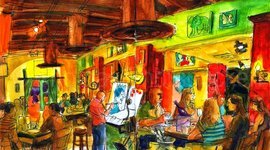 It’s a mix of artists, musicians, and delicious food that will tantalize your senses. You can actually watch artists create a masterpiece before your eyes and then purchase it all in the same experience. 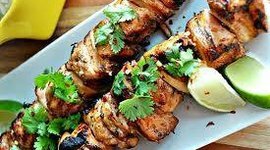 With an internationally influenced, tapas style menu, there’s a lot to choose from. 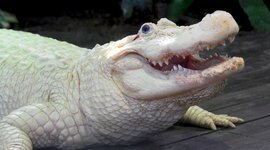 For a true Floridian experience, order the Cuban Sliders and Spiced Alligator Bites. Yum! 3. 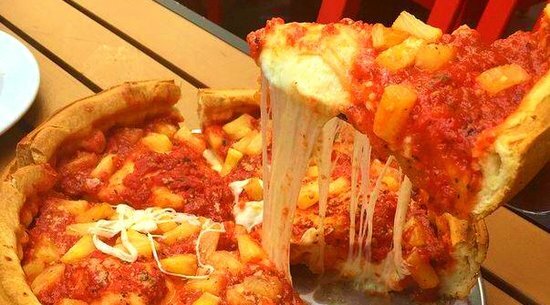 Giordano’s – If there’s one food that most family members can agree on, it’s pizza. When you’re in Orlando, Giordano’s is definitely the place to eat it! 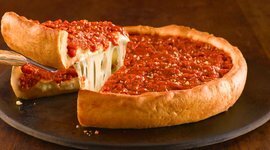 Their Chicago style deep-dish pizzas (sorry New Yorkers) are so fulfilling – both in size and flavor. Serving a traditional Italian-American style menu, their entrees are quite tasty too. 4. 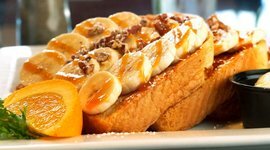 KeKe’s – A Central Florida breakfast hot spot that’s quickly spreading through the rest of the state, KeKe’s is your go-to choice for amazing brunch and breakfast in Orlando! Their pancakes are literally the size of a dinner plate. Order the Granola Crunch Pancake and you will not be disappointed! 5. 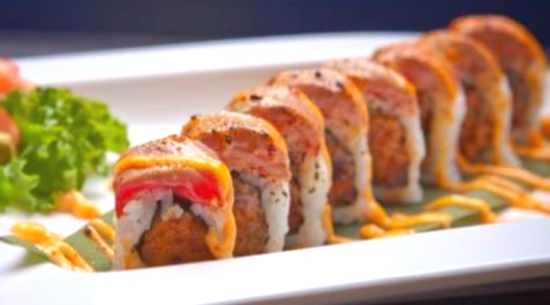 Bento – This Pan Asian quick-casual style restaurant offers well-priced, high quality selections. From Bento boxes to sushi to noodles, there are tons of great choices. 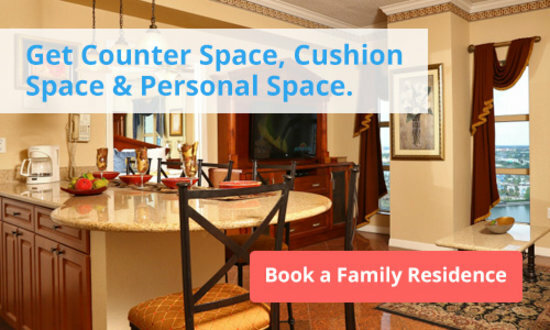 And, an open atmosphere allows families of any size to enjoy their meals comfortably, together. 1. 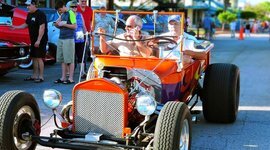 Hipstoric 3rd Friday – The historic town of St. 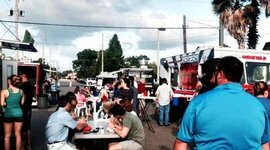 Cloud, offers this free event filled with food trucks, free movies, and art vendors. Held on the third Friday of each month, the event in Orlando is based on a monthly theme, so there’s something new each time. 2. Winter Park Sidewalk Art Festival – This nationally recognized artistic event, sees artists from every genre along the historic Park Ave. Art, culture, food, shopping and kid-friendly art activities combine making for an awesome family-friendly event. 3. 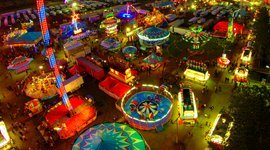 Central Florida Fair – Rides, cotton candy, prizes, and animals, this is pure traditional fair fun. If you’re here during the fair, you might want to stop by! 1. 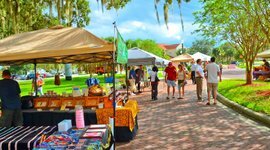 Shop Local at a Farmer’s Market – The best way to explore Orlando like the locals do, is to hit up one of the local farmer’s markets. With local artisans, fresh produce, and live entertainment, these spots are always lots of fun. 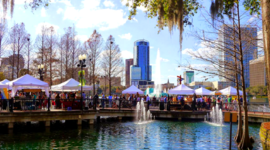 Visit the Downtown Orlando Farmers Market on Sundays or Kissimmee Valley Market on Tuesdays. 2. 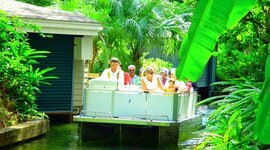 Get The SunPass – If you’re planning on heading out on day trips or exploring beyond the main tourist attractions, be sure to get SunPass/Epass option with your rental car. Theses allow you to bypass the toll booths on the highways, which can save you a lot of time during high traffic periods. 3. Must Have Mini Umbrella – Now, even though we’re known as the sunshine state, Florida is also known for summer afternoon thunderstorms that can get wet and windy. While these systems tend to move quickly, you’ll be relieved to have some sort of coverage if one happens to sneak up on you. 4. 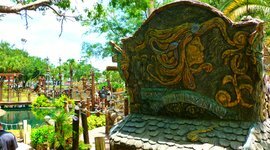 Purchase Reputable Tickets – Believe it or not, there are some shady people in this magical world who will sell you used or invalid attraction tickets. So if you plan on buy from a third-party seller, check their credentials or head over to Kissimmee Guest Services, a reliable source when making these important purchases. 5. 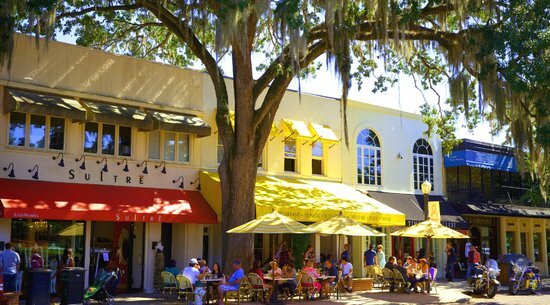 Take the Drive & Visit Winter Park – This charming historic city has a relaxing, feel-good vibe that’s worth the drive up I-4. High end shops and boutiques, gorgeous landscaping and gardens, museums, farmer’s markets, and superb eateries, all give your family enough activities to make a day of it. And it’ll be a memorable one that may even change what you think about the Orlando area. 6. Peacocks & Swans - If you do happen to venture to Winter Park, you can often spot peacocks pecking about and flaunting their plumage. If you come in the spring, you’ll find Lake Eola’s swan population booming. The baby swans hatch, and are an adorable sight to see! 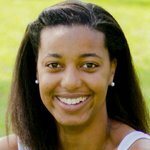 A lover of creativity, Lisa finds writing, cooking, and crafting to be forms of therapy. When she isn't blogging for Orlando Moms Blog or Wed and Wanderlust, she is busy capturing memories with her munchkin around Orlando, planning a Moms Night Out, trying to get her food to taste like her Jamaican mother's dishes, or on a foodie adventure with her hubby. They've got griddles by your tables where you can make your own pancakes. 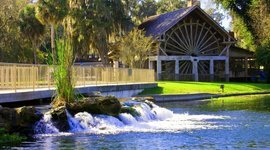 This 300-year-old mill at De Leon Springs was onced used by Spanish sugar plantations. Stop for lunch or dinner on their gorgeous lakeside patio and admire the reflection of skyscrapers on the water. Their calamari is amazing and the pan-fried Gator Tail Tenderloin is something you've gotta try. Sit outside by the lake or in their upscale, yet casual dining room. 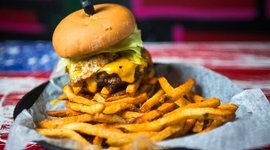 It's a hipster's sports bar with creative burgers, big screen TVs, and an eclectic mix of graffiti art. 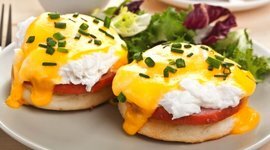 Twists on classic dishes include Smoked Salmon Flatbread, Herb Truffle Fries, and Cajun Lime Calamari. This spot is a downtown favorite. The rustic wood and lamp-post lanterns make for an inviting atmosphere. 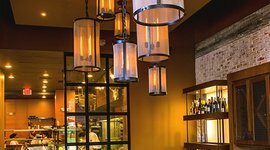 Try the Smoked Black-Eyed Pea Tortellini or Hanger Steak with Molasses Glaze. Pancakes are the size of your dinner plate, which makes it easy for more than one kid to split an order. You can even grab breakfast to-go on your way to the parks. Great sushi, bento boxes with teriyaki, and huge noodle bowls make this pan-Asian kitchen a great spot for exciting food with the family. Gather for great food, local art vendors, and family activities in this quaint historic town near Orlando. 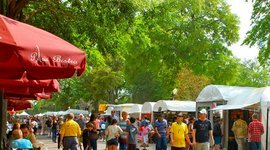 Recognized as one of the best free art events in the country, you can walk the streets of beautiful Winter Park and see (and buy!) hundreds of works by local artists. 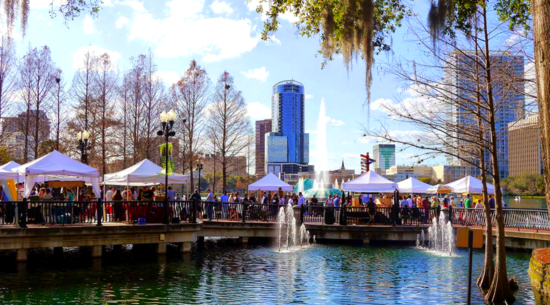 You can buy crafts by local artisans and fresh produce in a shaded grove by Lake Eola. There's a reason they're calling Orlando the City Beautiful. Its gorgeous center lake, reflects the skyline and has a natural park with fun events and outdoor restaurants.